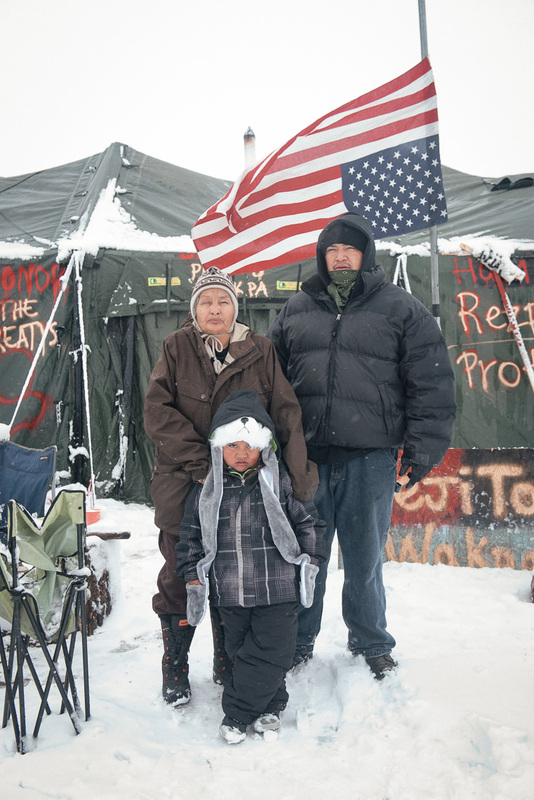 Vic Camp, Lakota Sundance leader of the Pine Ridge reservation, stands in protest with his family in the snows of deep North Dakotan winter. The upside-down American flag is a sign of distress. It is a visible symbol that Lakota consider their land and water more important than national allegiance.